All the research shows that the spiritual is innate in human beings. It is not “caught” from others like an infection and it is not an epidemic virus invading and multiplying at the same time. Professor David Hay and Kate Hunt have shown how people who do not go to church have a lively spirituality and even a spiritual vocabulary. Similarly, David Hay, with another collaborator, Rebecca Nye, has established that children are naturally spiritual – even if this can be neutralised in them by unsympathetic adults! Before this, the Alister Hardy Institute in Oxford had attempted to find a scientific basis for the spiritual being “hard wired” into people. All of this has implications for the rising tide of aggressive secularism and the “new” atheism. There is, at the moment, a highly organised attempt to drive religion out of the public sphere altogether. Anything and everything can be turned to its advantage by this campaign. So the consultation about schools, in the wake of the “Trojan Horse” events in Birmingham, led to a report focused on “fundamentalism” in Christian schools – as if that was the most important ideological danger facing the nation! Church schools are regularly accused of being socially selective if they have any religious criteria for admission, even if they also have criteria for serving the wider community in which they are set. If churches (this does not seem to apply to people of other faiths) are to be service providers, for government or local authorities, their moral and spiritual integrity must be recognised and protected. The refusal to accept this is another attempt to force Christians on to the back foot. Despite a long tradition of acknowledging conscience, the failure of recent equality and other legislation to make room for conscience and the observance of faith at the work place and elsewhere is yet another feature of an attempted totalitarianism. But the spiritual will not be quenched. Efforts are continually made to redefine the spiritual to mean physical well-being or “mindfulness” or cultural activity such as music and poetry. But people still obstinately keep asking questions about the whereabouts of departed loved ones, the meaning and purpose of their own lives, whether good will prevail over evil and whether we can know anything about the transcendent. For these reasons, any kind of secular consensus will remain inherently unstable. 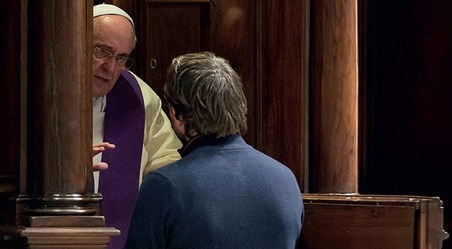 This is, of course, an opportunity for the Church to show by word, sacrament and service that there are answers to ultimate human questions that are not, and cannot be, answered by the current scientism. For these reasons the Church, and Christians, need to be equipped for a new era of apologetics in an unbelieving age. There are, however, dangers in secular instability. It seems that the post-secular age is already upon us and that it is characterised, not by Christianity but by the philosophia perennis; that is, by the recurrent paganism which affirms the unity of all being and denies the vital biblical distinction between Creator and creature. It leads also to a rejection of any differences related to gender and, in the end, to the blurring of the boundaries between human and non-human. Because we undoubtedly share many characteristics with animals (and even vegetables), it’s argued that any claim to human distinctiveness is but “speciesism”. The monism of the new pagans leads also to obscuring the distinction between good and evil, light and darkness, the common good and personal fulfilment. The Bible differs from other ancient religions of the East in holding that the Creator is immeasurably more than His creation; that He is personal but cannot be limited; that He is supremely intelligent, as evidenced by the intelligibility of the universe; and, above all, that He is good. In this, it also differs from the ancient paganisims of the West. Both East and West are coming together in this post-secular age, against the world view of the Bible and around the philosophia perennis, holding that all religions are but cultural and historical variations of this natural wisdom of the ages: that the divine is nothing more than a world-soul, and that we also are divine and can thus do anything, which intensifies this divinity. Against this, the Bible offers a revealed religion which shows us that we are made in God’s image and that this image is redeemed by him when corrupted by us. We are accountable to God as well as to one another. 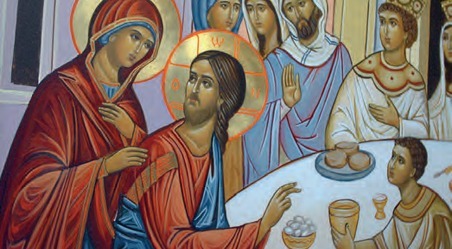 We can, indeed, partake of the divine nature, but only insofar as we respond to God’s initiative in Jesus Christ, and in doing so are incorporated into the new reality which arises out of his death and rising again – a reality which is referred to again and again as his Body. Christian divinisation is thus very different from its pagan counterpart. One vulnerability of a post-secular age which we cannot overlook is whether it could lead to religious extremism. If people are looking not only for the spiritual within and a transcendent beyond but for a way of life, a charter of conduct and a community of belonging, might they turn to radical Islamism, especially as this is so well entrenched in our societies? This alerts us to the need for authentic corporate expression of the spiritual. The spiritual dimension is important to people and it often allows them to make sense of their own lives and to have some understanding of destiny. If this is left entirely to the individual, however, it will be stunted and may atrophy and die. We need one another in this as in other areas of human experience; we need to learn from one another, to worship together and to bear witness together. Religion has nowadays become a bad word but it points to this solidarity of believers which belief needs if it is to survive and flourish. Religion also points to the influence that awareness of the spiritual has had on most cultures and societies. Our laws, customs and values have usually been based on a spiritual vision of some kind. The secular claim that this is no longer needed because of democracy and the welfare state cannot be substantiated. In important areas of public policy regarding the human person, relationships, justice, conflict, the care of the poor etc, a spiritual and moral world view is still needed. A post-secular world is full of opportunity for the Church and for Christians, but it also abounds in dangers for the human soul and for society at large. We should start engaging with it now in charity but also critically.